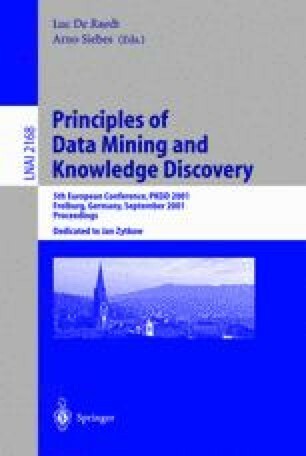 We present a way of exploiting domain knowledge in the design and implementation of data mining algorithms, with special attention to frequent patterns discovery, within a deductive framework. In our framework domain knowledge is represented by deductive rules, and data mining algorithms are constructed by means of iterative user-defined aggregates. Iterative user-defined aggregates have a fixed scheme that allows the modularization of data mining algorithms, thus providing a way to exploit domain knowledge in the right point. As a case study, the paper presents user-defined aggregates for specifying a version of the apriori algorithm. Some performance analyses and comparisons are discussed in order to show the effectiveness of the approach.